It is not wrong to claim, ‘Old is gold’ and this rightly goes with my today’s post of free Retro business card design template. This card is much alike a movie ticket. If you can think of IMDB logo, you will surely find a resemblance shared between the two of them. 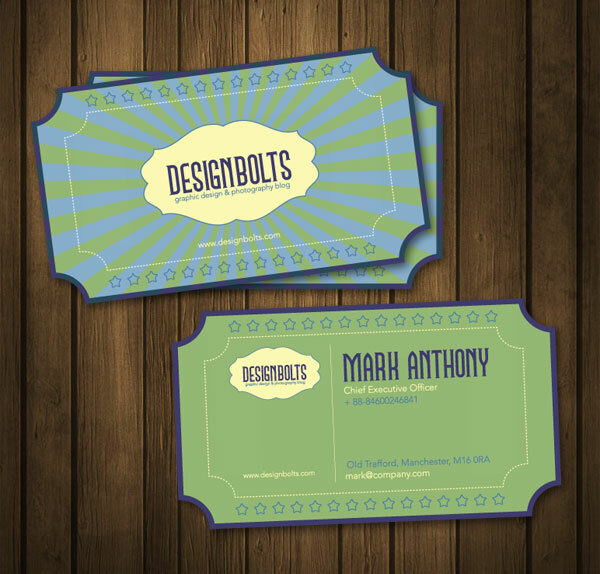 People belonging to films, movies or videos can find this business card useful and proficient. This card is formed by the amalgam of blue and green colors which are giving it a classy old look. It is an Illustrator file therefore It is entirely customizable. Download this beautiful Free Vector Business Card Design Template and make use of it in your prospects. Subscribe us for more Free Vectors, Free PSD, Free Icons and much more. Can I get ur email I’d for further communications? ?